Updated! – Barnstorm for Medicare for All! The Snowmageddon of 2019 interrupted the Barnstorming for Medicare for All, but new dates have been set. See below for updated information. National Nurses United, Whole Washington, Red Berets for Medicare for All, Our Revolution Washington Berniecrats Coalition, Olympic Peninsula Progressives, the Washington State Green Party, Adams County WA Democrats, North Seattle Progressives, United for National Healthcare, Our Revolution Clark County, 22nd LD Democrats, Our Revolution-Pierce County, and Our Revolution/ Democracy Rising have teamed up to bring you an astounding 10 barnstorm events all over Washington State this upcoming week/weekend! We have just been notified that the snowstorm has caused the WA Senate and House to cancel business for Monday. We will send a notice when we learn the rescheduled date and time for the Senate Health & Long-Term Care Committee hearing on “Pathway to Universal Health Care” – SB 5822. SB 5822 was introduced by Sen. Emily Randall and is co-sponsored by many health champions. It would create a work group of a broad range of health care stakeholders to study and make recommendations to the legislature on a universal health care system that is sustainable and affordable for all WA residents. This would represent the biggest step taken so far to prepare to achieve health care for all Washingtonians. Email Committee Chair Annette Cleveland (annette.cleveland@leg.wa.gov) to say you SUPPORT SB 5822. Send a comment of support to your legislators by clicking on “Comment on this bill” here: Comment here. Email your message of support or call the Legislative If your organization supports universal health care, send a comment on its behalf. Contact your legislators in both the Senate and House to let them know you support SB 5822/HB 1877. Hotline, 1-800-562-6000. For more information on the SB 5822, go here. Hearing Monday, Feb. 11, at 1:30 pm in Olympia! ACTION ALERT: Hearing in the Senate Health & Long-Term Committee, Monday, February 11th at 1:30 pm. More info & RSVP here. Legislators need to hear from you! Snowed in? Email testimony here. This bill starts by declaring that health care is a human right. The intent is to be ready to act as soon as 2021 if we can win federal policy to support the development of universal and affordable health coverage systems at the state level. California, New York and several other states — maybe including Washington! — are already politically close to taking this step. Winning universal state plans will help us build the movement for a universal national plan like Medicare for All. The bill specifically mentions the federal bill Congresswoman Jayapal introduced in 2018, the State-Based Universal Health Care Act (HR 6097), soon to be re-introduced and led by Rep. Ro Khanna of California. This proposal would build on the Affordable Care Act (ACA) and make available federal funding and regulatory authority to achieve universal health care coverage in a state or group of states. SB 5822/ HB 1877 sets up a Work Group of health care stakeholders to study the issue and come up with recommendations to the legislature by 11/15/20 on a universal health care system for our state. Several specific criteria are included in the charge to the Work Group: Options to increase coverage and access; transparency to best manage and lower costs; innovations to promote quality; options for a just transition; possible collaboration with neighbor states; and options for revenue and financing (including contracting for an actuarial analysis if needed). 1. Section 2(1), add “Community health care advocates” to the list of stakeholders. This will be an important voice among the many powerful interest groups that need to be at the table. We are fortunate to have a well-developed advocacty sector to work with here! 2. Section 2 (2) as follows” “The Work Group must study and make recommendations on the universal health care system that includes “publicly funded, publicly administered, publicly and privately delivered health care…” This point aims at the importance of public administration of health plans since so many of our difficulties flow from the fragmented system of private plans; it also acknowledges that the public sector health care providers — federal, state and local — will continue to play important roles in a universal system. To see the Senate Bill 5822 in its entirety and to submit a comment to your legislators, go here. Companion Bill HB 1877 is here. To watch Rep. Macri’s 12-minute speech about the bill go here. Thanks to Sherry Weinberg, PNHP-WW & HCFA-WA and David Loud, PSARA for contributions. How Do We Win Universal Health Care? The Health Care is a Human Right – WA Coalition sponsored an important public forum on Saturday, Jan 26th, titled Winning Universal Health Care – Federal, State, and Local Action. The forum looked at ways to move health care reform forward in 2019 and beyond. Washington State Labor Council President Larry Brown and Secretary Treasurer April Sim kicked off the forum with a message about the importance of labor in the fight for universal health care coverage. US Representative Pramila Jayapal, the lead sponsor of Medicare for All, was unable to attend due to the government shutdown but she addressed us by video from DC. Nathan Rodke of Washington CAN! moderated a panel of legislators sponsoring legislation to advance universal health care. From left to right: Rep. Seattle Council Member Teresa Mosqueda, King County Council Chair Rod Dembowski, State Representative Nicole Macri, State Senators David Frockt, Joe Nguyen and Bob Hasegawa. It was held the at the El Centro de la Raza Community Center on Beacon Hill. The meeting was lively and very well attended. Watch the forum here. 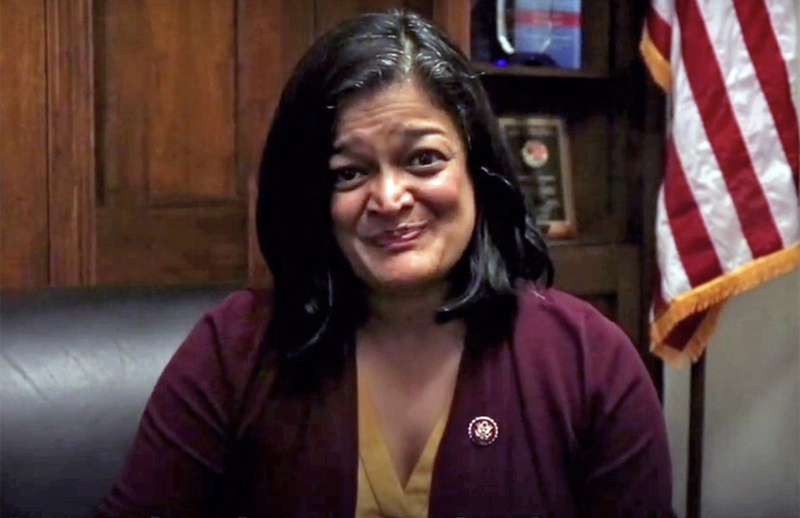 Congresswoman Jayapal’s inspiring report is 5 minutes long and starts at 5 minutes into the video, following the State Labor Council officers’ 5-minute welcoming remarks. Thank you to the sponsors and volunteers — and the 200 audience members! To win, we need everybody pitching in and being Loud and Proud for Universal Health Care. Please let us know you’re coming, so we can be sure to accomodate everyone who wants to attend. Just click on this link: RSVP If you are bringing others, please indicate the number. For public transportation, you can plan your trip here. We defeated the latest effort in the Senate to roll-back healthcare access, so what do we do next? Push forward for Medicare for ALL! Health Care Is a Human Right – WA put together a toolkit of talking points, stories, facts, and even a leaflet that you and your organization can use to advocate for our Congressional Representatives to sign on to HR 676, the Medicare for All bill. You’re welcomed to copy, distribute, post, paste, or use in any way! Here’s a folder that has the component parts of the toolkit, if you just want one piece.